She works hard for her money — then spends it on cats. | MEOW hear this! She works hard for her money — then spends it on cats. 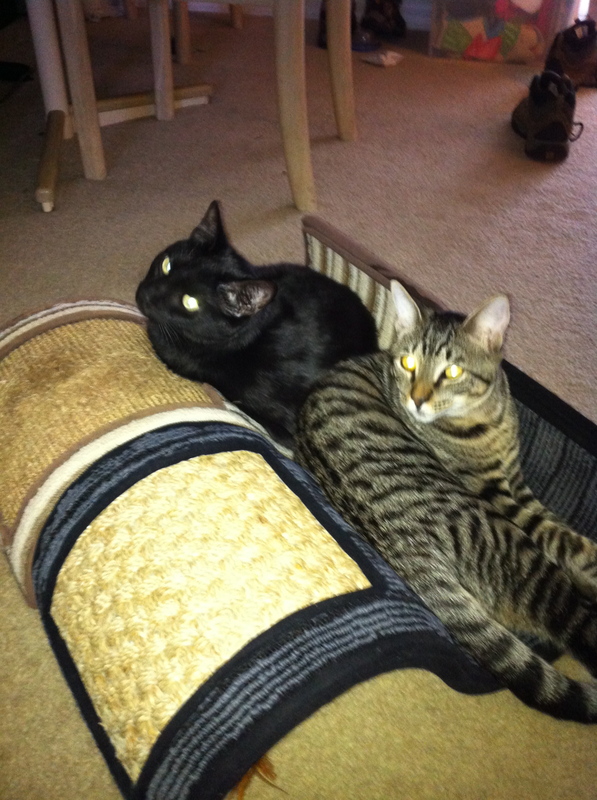 As any kitty mommy and crazy cat lady knows, one’s purchases revolve around one’s cats. For example. I went to Target yesterday for kitty litter, among other things (I never leave Target without spending far more than I’d planned to). 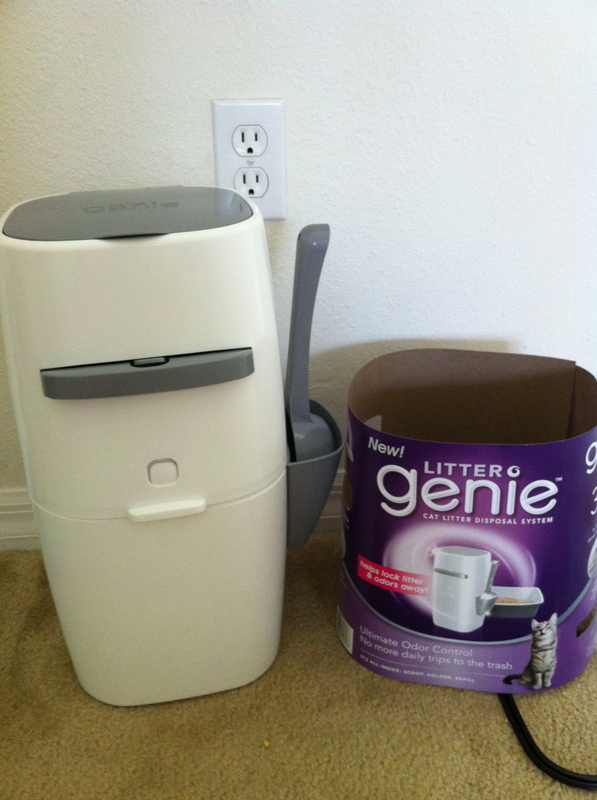 Litter Genie. Really. And it was cheap! 15 bucks to avoid the spillage that usually occurs when I try to scoop the TONS (I do mean tons, I cannot fathom how my 2 cats expel SO MUCH) of used litter into the plastic grocery store bags. I realize that many of my purchases are done with my cats in mind. 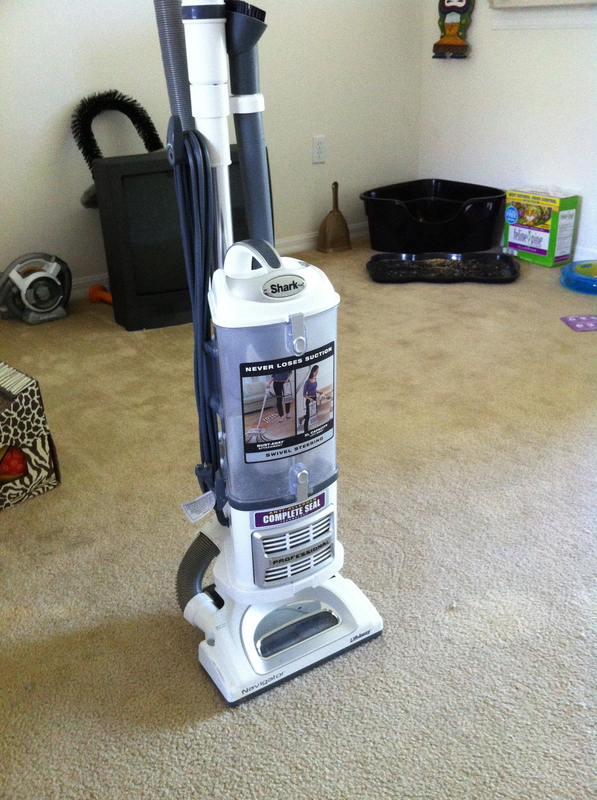 For example, my fancy vacuum cleaner. I would have bought a Dyson except this one came just as highly recommended for a lot less money. I love it. It’s changed my life. You wouldn’t BELIEVE how much fur this thing picks up. Every time I dump out the canister I wonder how my cats are not bald. WHERE DOES THE FUR KEEP COMING FROM??? 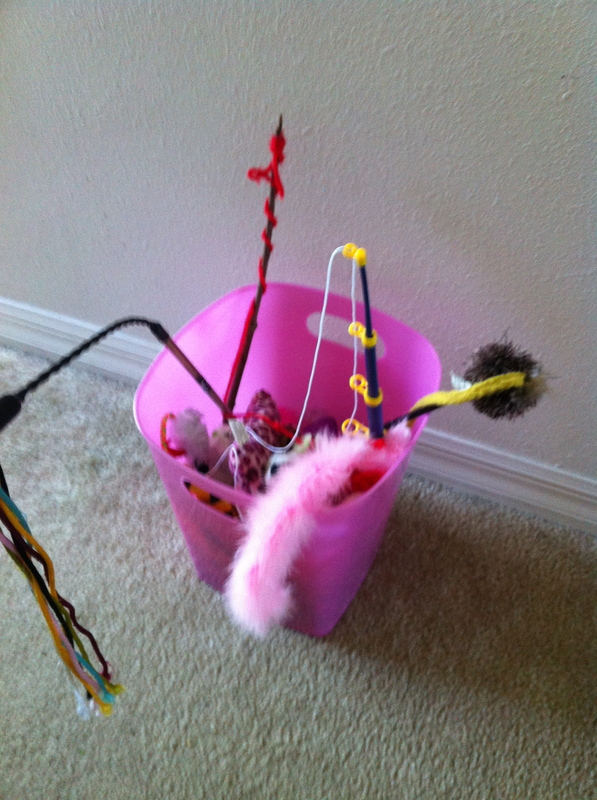 Bucket of cat toys. Filled with all the toys the cats only mildly like, because the ones they adore inevitably disappear into the abyss of I-don’t-know-where. Like those mousies with the real fur. Those are pretty much universally adored, right? 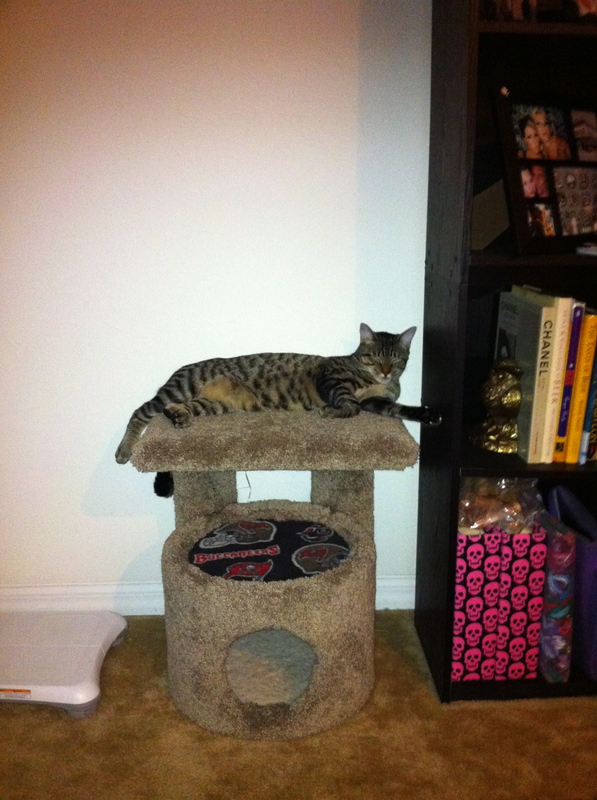 One of the rare occasions this piece of furniture meant for the cats is used by one of the cats. I have yet to buy a cat tree, though, I can’t find one that I like enough to spend that much money on, or I find ones that I like that I can’t possibly afford. I keep telling myself I’m going to make one but haven’t quite gotten around to it yet. There’s also the useless purchases, like the beds they won’t sleep in, or the litter mats that do absolutely nothing to keep litter from getting everywhere. But there’s more used than not. Had you told me, say, 10 years ago, that any of these purchases would one day excite me so, I would have laaaaaaaughed and laughed. But now I am a grownup, sorta, and a full-fledged kitty mommy. So I’ll just shrug. I did it all for the kitties. Well I can TOTALLY identify with this!! I can never get my furry babies enough stuff. Hopefully when I have children I will learn to curb all my impulse buys but no guarantees! I couldn’t stop laughing about the endless bowl movements and the beds they NEVER sleep on lol. Ohh and I stopped buying litter mats because they are totally useless and I actually find that they become more of a mess to clean than just the floor which you have to clean anyyyyway. 🙂 Enjoy your Sunday! I think it gets worse when you have kids. I come from a long line of impulse buyers, my mom STILL buys me stuff all the time. As for the litter mats, I bought a “shoe mat” from the dollar section of Target that gets about half of it. As long as they don’t jump right over it, which is 75% of the time. Children are precious, regardless of what kind of body they are in. Toilet training for cats sounds so tempting.